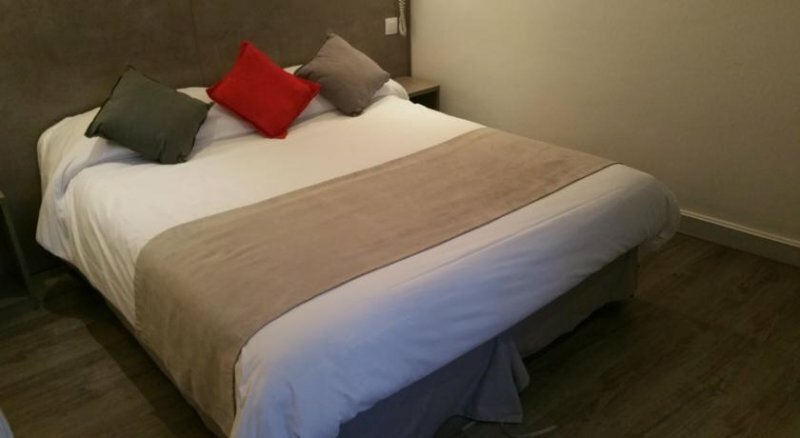 The Panam Hotel - Place Gambetta is located 50 m from Gambetta Metro station, Super Hotel offers 24-hour reception, an elevator, free luggage storage, and Wi-Fi is free of charge in the entire property. This hotel by hours offers 31 rooms with flat-screen TV with satellite channels, a safety deposit box and air conditioning. The private bathrooms include a bath tub or shower and free toiletries. Super Hotel is conveniently located a 25-minute drive from Roissy Airport, and the nearby Métro Line 3 provides easy access to the Place de la République and Les Halles districts. Each room feature a flat-screen TV with satellite channels, a safety deposit box and air conditioning. The private bathrooms include a bath tub or shower and free toiletries.